Iceland is a country full of natural wonders; from gushing geysers to magnificent glaciers and bubbling hot springs. The nature lover and photographer will find many things to love about Iceland. Reykjavik is Iceland’s capital and one of its most enjoyable cities. In summer, Reykjavik enjoys 22 hours of sunlight, in winter it is dark nearly all the time. You’ll find great pedestrian streets, quaint restaurants and rollicking bars in this small town that is the world’s northernmost capital. You should also plan to visit Iceland’s coast. In Vestmannaeyjar, you can see thousands of puffins on the islands and Husavik is home to some of the world’s best whale watching. The hot springs in Landmannalaugar will warm you to your soul and the beautiful scenery in this area will keep your eyes occupied at the same time. Visit the geysers of Geysir and Gullfoss. If whitewater rafting is on your agenda, visit Jokulsa Astari, where you can raft along glacial rivers and where the horseback riding is great, too. And fishermen will find no better spot in the world for angling than the coasts and rivers of Iceland. Finally, Jökulsárgljúfur National Park is a must see, boasting a 30 kilometer gorge carved out by the Jökulsá á Fjöllum river. This is a fairly secluded park, and amenities are scarce. However, the scenery through the birch forests and around the rock formations is well worth any inconvenience. Though this area is best seen by hiking, there are several waterfalls and scenic areas that can be visited by automobile. Find cheap flights to Iceland and more cheap flights here. 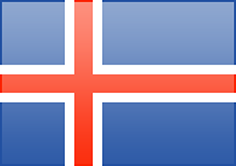 The primary international airport is just outside of Reykjavik. Only a few airlines service Reykjavik, so it’s best to book early. Akureyri also has a small international airport with a few flights coming from Europe. Find the best prices for hotels in Iceland, and other cheap hotels here. You’ll find a wide range of accommodations in Iceland, depending upon where you travel. Larger cities like Reykjavik will have everything from 5 star hotels to youth hostels. However, in smaller areas, there may be just a few guesthouses and bed and breakfasts from which to choose. In more remote areas, such as the National Park, you’ll find lots of camping facilities.